Perfection. It means something different to everyone. For some it is having a glamorous career and living the single life in a big city. For others it is being married and carting children to and from dance classes. And still for others it is practicing yoga daily, eating a vegan diet, making a six figure salary, hair that is never askew, getting a 4.0 GPA, the list goes on. Despite our differences in definition, many of us share the deep desire to embody the “perfect” image we hold in our minds. So what happens when we don’t quite live up to that ideal? When it becomes clear that we all have imperfections? When you get your expectations in order (and realize that incredibly high standards are futile), but still don’t feel satisfied? The conversation needs to continue and we need to learn to not only make peace with our “imperfections,” but embrace them! Explore why you view this part of you as imperfect. If you have a part of yourself you don’t like (from your body to your personality), it’s imperative to understand why. Is it because society promotes something that you have no hope of obtaining (as a short girl, I’m looking at you impossibly-long-Taylor-Swift-legs), or because all of your friends have it? Or maybe you don’t like that you have the tendency to overreact to situations. Or that you’re especially prone to becoming hangry and acting in a way you regret. Grab your journal and write it out or get a cup of coffee with a trusted friend and spend some time talking out and understanding your feelings. There is no doubt that all of our feelings are valid; they’re our feelings, after all. But just because we feel something, that doesn’t make it true. For me, I’ve struggled with body image, and more than just my height. In fact, it’s still something I’m working on. But when evaluating the validity of these feelings I see they have very little merit, because I am in fact healthy for my age, body type, etc. There is something incredibly freeing about being kind to yourself and giving yourself the grace to realize you’re doing just fine. Every situation can do with a good dose of perspective, so be sure to always keep that in mind. No, you’re not always going to get straight As, or excel in every sport, or make the most money out of all of your friends and that’s okay. 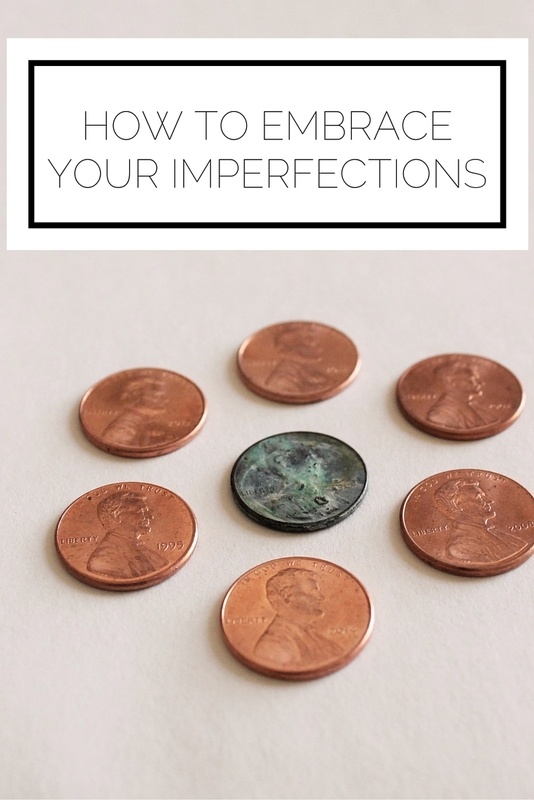 By viewing our imperfections as parts of our overall awesome selves, we can see that to be a success does not need to mean that we constantly have it all together. Our imperfections make us relatable and better able to understand the challenges of others, which is reason enough to accept them. Once you come to terms with your “imperfections” and accept and embrace them, you are free to live as your most authentic self. The benefits extend not only to increasing our personal happiness but also, most importantly, to understanding others and raising them up by teaching them how to embrace their own imperfections. Remember, you are in charge of how you view every part of yourself, so have the grace to recognize that “perfection” and “imperfection” is what you make it. This was originally a guest post on the Wonderforest blog.